The Israeli-Palestinian conflict, combined with the Cold War, distracted Syria from dealing with its economic problems and developing a sense of nationhood. Because of the loss of the Golan Heights and the conflict with Israel, Syria was put ‘on a semi-permanent war footing’, which made reform harder. The sectarianism that is so significant in the present conflict has a long history. French colonial rule tended to favour minorities and encouraged the Alawites in particular to join the army. The Sunni majority has always been bitter that the Assad regime has been dominated by Alawites. Because the Alawites are an offshoot of Shi’ite Islam, Syria has been strongly supported by the Shi’ite Republic of Iran and by the Lebanese Shi‘ite militia, Hizbullah. Islam provided ‘the most convenient rallying cry’ for many Syrians both against the French and against the Ba’th. Islamic revival was also stimulated by the 6-Day War and subsequent alienation from the West. Both Hafiz and Bashar al-Assad have used the threat of Islamism and Jihadism to protect their own interests and to keep complete control. Lebanon during the civil war of 1975 – 1989 became the battleground of the Middle East. Since 2011Syria has taken the place of Lebanon as ‘a theatre for proxy wars.’ This new proxy war has marked a return to the earlier Cold War – but this time with other powers (especially Iran, Saudi Arabia and the Gulf States) drawn in on one side or the other. ‘Today’s civil war could be said to be the last proxy conflict of the Cold War. The use of violence by the Assad regimes (in 1982 and since 2011) to put down opposition has been no different in principle from the violence used by the French to put down dissent (especially in 1925 and 1945). Although Bashar al-Assad probably wanted reform when he took over from his father in 2000, he was ‘totally dependent on a clique of family members and close associates in the one-party police state. After World War I, four powers had an interest in the future of the Ottoman Empire and Syria: Britain (which saw the region as an important land bridge for maintaining its empire in the East and after 1928 as a vital source of oil), France (which wanted to support Catholics, believed it had a mission civilisatrice, a civilising mission, and had ‘idealised memories of the Crusades’), Turkey (which had been allied with Germany) and Russia (which for the previous century had been trying to extend its influence in the region and saw itself as a protector of Orthodox Christians). In 1516 Christians were approximately 1/3 of the population of Syria; in 1914 they were 20%; Aleppo was 1/3 Christian. The clashes between Christians and Druzes in 1880 spilled over to Damascus, and encouraged Maronite separateness and nationalism. Resentment against Christians partly because of their relations with European powers. Greater Syria played a role in the Nahda, the Arab cultural renaissance which led to a greater sense of Arab-ness. The Young Turks in 1908 were seeking to refashion the Ottoman Empire; their reforms provoked resentment among the Arabs and stimulated the desire for independence from Turkish/Ottoman rule. World War I was a calamity for the people of Syria, with ports blocked by Allies – leading to famine, in which 1/5 of the population of Mt Lebanon died. Allenby captured Damascus Oct 1918, while another British army took control of Iraq. In Nov 1918 Britain and France promised ‘complete and definite emancipation … and the establishment of national governments.’ But these promise were completely ignored. April 1919, after Versailles Peace Conference, Faisal returned to Damascus to establish a single Arab state. But in the secret Sykes-Picot agreement (May 1916), Britain and France had already agreed to carve up Greater Syria. So at San Remo Conference in April 1920, they granted France the mandate for Syria and Lebanon and Britain the mandate for Palestine and Iraq. The Arabs felt betrayed by both Britain and France. July 1920 French forces crushed a Syrian army at Maysaloum west of Damascus, and deposed Faisal. – The policies of France caused economic decline – eg more was spent on the army and security than on infrastructure. – Special privileges granted to the French living in Syria – eg Mixed Courts with European judges. – Christians in Syria were associated in the mind of Syrians with the French. – France turned Syria into ‘a patchwork quilt of semi-autonomous but dependent territories over which it would retain control … with the aim of discouraging a Syria-wide sense of national feeling’: (a) Greater Lebanon created to build a Maronite-dominated entity; (b) Alawite area around Lattakia; (c) Druze area around Suwayda. France co-opted some of the major landowning families as intermediaries. In doing so, they stepped into the shoes of the Ottomans. Vast majority of Syrian questioned the legitimacy of France’s authority. Army columns were sent round the country in a show of force and to discourage rebellion. The People’s Party formed in 1925 seeking independence. Resentment against French rule led to the Revolt of Druze in Hawran (1925 – ’27). 1,000 French soldiers killed. They ‘recruited gangs from the Circassian and Armenians minorities to carry out their dirty work.’ Revolt spread to other parts. Savage and brutal assault with shelling on Damascus, May 1926. ‘The French air force conducted what may well have been the most intensive and systematic aerial bombardment against a civilian population that had taken place up to that time anywhere in the world.’ Maronites supported the French, but many Orthodox backed the rebels. Revolt crushed by summer 1927. 6,000 rebel fighters killed; homes of 100,000 people destroyed. ‘By the time the rebellion was over, a strong sense of Syrian national identity had taken deep root’ – especially among Sunnis and Druze, but also among Christians. National Bloc created 1930s: French persuaded notables who were nationalists to take part in running the country in ‘honourable cooperation.’ But Assembly suspended by France. Treaty with France in 1936, but not implemented. Constitution suspended in July ’39; Druzes and Alawites given increased autonomy. France also proposed an Alawite state. 1946. French (and British) troops finally left Damascus and Beirut. 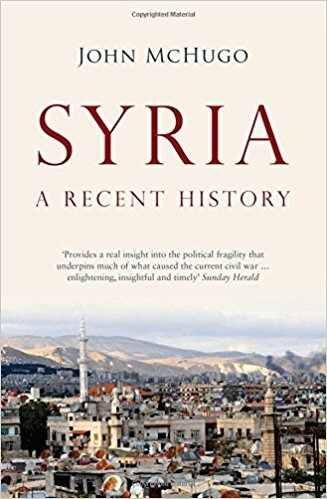 After independence Syria was governed through ‘a western constitutional formula stretched like a new skin over the fissures of a traditional society’ (Patrick Seale). Most politicians were from notable families. Rivalry between Aleppo and Damascus. Main parties: (1) Syrian National Party, founded ’32 by Antun Sa’ada; working for Greater Syria. Rejected Islam and Arabic as source of nationhood; against pan-Arabism; complete separation of religion and politics. (2) Syrian Communist Party. (3) Islamists; Syrian branch of Muslim Brotherhood founded ‘45/’46. Moderate Islamist agenda, sensitive to Christians. (4) Ba’thism; founded by Michel Aflaq (Orthodox Christian) and Salah al-Din Bitar (Sunni Muslim) (1940s), working for rebirth of Arabism. Three goals: unity, freedom and Arab socialism. Separation of religion and politics. Syrians ‘were suffering not only from national wounds inflicted by the foreigner but also from social wounds because our society was sunk in ignorance and falsehood’ (Aflaq). Between independence and ’58, Syrian politics were a three-way clash between (a) the old notables, the traditional ruling political classes which had evicted the French; (b) new movements like Ba’ath the Arab Socialist Ba’th Party, 1952; (c) army, whose officers eventually came out on top. A series of coups. When Israel created in 1948, the Syrian army was to prevent Jordanian army occupying parts of northern Palestine and to ward King Abdullah off from Syria. ‘The Syrian army never tried to do more than take a few Zionist settlements around the Sea of Galilee and the marshes to the north.’ Army defeated and felt humiliated by politicians. 1949 Coup. Col. Husni Zaim installed himself as head of state. Offered peace with Israel. Syria caught up in the Cold War. In 1955 Baghdad Pact created to prevent Soviet expansion in M East; Britain wanted to recover lost power in region. US was trying to woo Syria through aid. Nsser’s coup in Egypt, 1952. When Nasser was humiliated by Israeli raid on Gaza Feb ’55, he sought arms from US, who refused. Therefore turned to Communist block, esp. Czechoslovakia. US retaliated in July ’56 US by refusing to finance Aswan Damn. Nasser nationalised the Suez Canal. Led to Suez crisis of October ’56. Soviet penetration of Syria began in earnest, turning Syria into a Soviet satellite. This made the US and West angry. 1958. United Arab Republic (UAR) created. Nasser never envisaged political union with Syria. But when it was proposed by Syria, Nasser said ‘full union or nothing.’ This marked the end of Syrian democracy and the old Ba’ath, which was abolished by Nasser. The union was emotionally driven and hasty. Result was that Syria was absorbed into a larger entity dominated by Nasser. 1961.Coup of Syrian army officers ended the UAR. Elections for parliament held. June ’67 War; ‘the war that neither side wanted’. Golan Heights captured. Syrian army and government humiliated. Nov ’70. Coup led by Hafiz al-Assad deposed Salah Jadid. Syria now led by ‘a regime with a heart that was made of lead’ and prepared to use assassination and terrorism. Because of confrontation with Israel, country on semi-permanent war footing, with long-term militarisation of society; help from Russians to rebuild army. 1975. Civil War in Lebanon. Assad first tried role of conciliator. As result of Kissinger’s intervention, Syria intervened to end the civil war. This intervention led to Syrian hegemony over Lebanon in ’76. Assad and Arafat – mutual hatred. Assad wanted Lebanon and Jordan to work with Syria against Israel. He was angry and bitter that the diplomacy of Kissinger, Carter and Sadat had isolated Syria. August ’90. Iraq invaded Kuwait. Syrian support for the US and the UN against Saddam Hussein helped Syria to reassert its hegemony over Lebanon. After the war US attempted a comprehensive peace plan; but Israel wanted to negotiate with each country separately. ’93 Oslo Accords. ’94 Peace with Jordan. 2000. Assad met Barak in Geneva. But Barak not prepared to give share of Lake of Galilee to Syria. 3 months later Assad died. During the 1930s and 40s the Alawis had been a clannish and secretive group at the very bottom of Syrian society, persecuted and marginalised. Ibn Taymiyya (d 1328) had been fiercely anti-Alawite (and anti-Shi’ite). Assad joined the Ba’th party in ’46, and took part in the coup of March ’63. By ’64 he was commander of the air force. Took control in Syria in 1970, and reshaped Ba’th party. ‘The party was now transformed into a movement that existed to support the leader – a complete contradiction with the ideals of its founders… It became the vehicle every ambitious person had to join in order to get ahead and an instrument with which to control the country.’ Alawite officers were 42% of army. Number of security agencies grew. Islam provided the most convenient rallying cry against the Ba’th revolution which had ended the old order. Assad always stressed he was Muslim. Obtained fatwa from Musa al-Sadr to say Alawites were true Muslims of Shi’ite persuasion. His attempts to reach out to the Sunni majority didn’t work. The Islamic revival had first been sparked by the 6-Day War and alienation from West. Afterwards Assad tried to co-opt the religious revival. After ’82 greatest threat to Assad came from his own family. Rifaat critical of his policies, and was more pro-West. In ’83 decided not to challenge Assad and left the country. Basil died in car accident ’94. 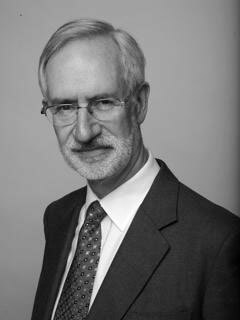 Aged 34 when took over in June 2000, after he was only 18 months into his study to be ophthalmologist in London. Married Asma, from Sunni family from Homs, whose father a cardiologist in London. Should we give Bashar the benefit of the doubt? Perhaps, but (1) he was the product of the world in which he had grown up; (2) he inherited the burden of the past. 14 Feb 2005. Assassination of Rafiq Hariri led to an immense welling up of anger against Syrian presence in Lebanon.’ Pressure from the UN forced Syria to withdraw its forces from Lebanon. Israel’s invasion of Lebanon, 12 July 2006. Nasrallah became a national hero and made Bashar popular. Rami Makhlouf, Bashar’s cousin, controlling 60% of country’s economy. Bashar seemed to have ‘survived the challenge from political Islam. He continued his father’s policy of reaching out to religious scholars who were willing to coexist with the regime’, and argued that there is no conflict between Islam and the regime. ‘Now he would find himself the victim of his own failure to introduced transparency into the government’s workings and tackle the security and state corruption.’ This speech of self-justification left Syrians deeply disillusioned. Attempts to buy popularity; but protests intensified with brutal crackdown on demonstrations. When was the point of no return? Possibly on 29 April, 2001, when13-year old boy arrested in demonstration and his mutilated body returned to family one month later. April 2013. ISIS took Raqqa.